All materials are included in the price of class. This class is for all children in Pre-school through Kindergarten. Parents of Pre-school are asked to sit with their child to help. Student’s will explore a wide variety of materials and styles. Seasonal art, animals and the world around them are the themes of projects. Check out my student examples from past classes on my Facebook Page “Maureen Marks Art”. This class is for all levels and experience of artists in grades 1-2. We will explore a wide variety of art materials such as paint, clay and more. Check out my student examples on my Facebook Page “Maureen Marks Art” to see what was made in the past. This class is for all levels and experience of artists in grades 3-5. We will learn ways to make art more realistic as well as exploring a variety of art materials and styles. Drawing, painting, clay, printmaking and pastel are among the media usually used in projects. Check out my student examples on my Facebook Page “Maureen Marks Art” to see what was made in the past! This class is for all levels and experience of artists in grades 6-8. Students will move toward a more individual approach to their art, often having a choice of subjects and/or media for each assigned project. Learning art techniques for making more realistic art as well as exploring a wide variety of materials and styles are a part of this class. Look for other family friendly events by scrolling through the calendar! Most paint nights are open to kids ages 8 and up. Please contact Maureen if you have any questions. 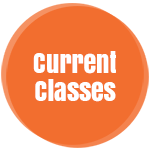 Private classes: A very limited number of time slots are available for private students. Private lessons are $31 an hour and all materials are included. Students decide what materials, subjects and concepts they want to learn. Privates need to be scheduled no later than 5 PM. As of June 1, 2019 Privates will be $35 an hour, which includes materials. Students can choose projects/concepts/materials. They will only be offered on Tuesdays from 1:30-2:30, 2:30-3:30 and 3:30-4:30. Fall privates will be offered only on the following dates: Sept 10, Sept 24, Oct 8, Oct 22, Nov 5, Nov 19. A block of the 6 dates at one time slot can be reserved for $198. 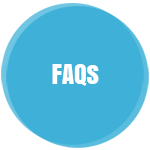 Any unsold blocks will be offered for sale as individual privates for anyone to purchase and are listed on the calendar as “Book your private lesson here”. At Maureen Marks Art Studio located at 103 Sunset Ave, Harrisburg, PA 17112. I offer a Fall, Winter and Spring Session of art classes. In the summer I offer camps, family fun days, and family paint nights. Private lessons are 1 hour for $31 which includes basic materials. If you purchase 6 in advance they are $30 an hour. Lessons must be purchased 2 weeks in advance to hold a date. A six hour notice is required for cancellation in order to receive a credit. Fall Changes: Starting in September of 2019 Private classes will be $35 an hour and are limited to 3 students. Minimum of a 2 private lesson pack required. Lessons purchased in a set of 6 are $33 per class. Class dates and times to choose from will be published in early August (only dates and times published will be offered-I am unable to accommodate personal scheduling at this time). Please email Maureen at artgirl1965@gmail.com in late July if you are interested in doing private lessons. Click on the calendar button to find out more details, dates, cost and pictures of projects. In case of inclement weather, classes are cancelled. I follow the Central Dauphin School district’s closing schedule, so if their school is closed or has an early dismissal then art is cancelled. I will send out an email (or text if you prefer) if class is cancelled. I will also post on my FB page “Maureen Marks Art”. A make-up class will be scheduled on the same night and time as the class you are signed up for. If for any reason your child misses a class you are welcome to take it home to finish or sign up for the monthly make up class. I will take up to 10 students from all Levels. Make-up classes for Little Brushes are not a drop off for any age as they take 45 minutes or less. Parents are asked to stay for Little Brushes make ups. Look for the Purple Heart on the calendar to register for make up days. Please note that there is not usually time to make up missed work in class so if a make up is not scheduled the work will be sent home unfinished. An individual refund minus fees will be issued if a cancellation is requested 5 days before the event. As fees are incurred as soon as payments go through, the following fees will be deducted from your refund: $1 for events costing $5-$15, $3 for events $16 to $50, $4 for events $51 to $100, and $5 for events over $100. If the request is made after the 5 days ahead of class I do not offer refunds or transfers, but you are welcome to find a friend to take your place.